Service medals and campaign medals continue to hold their strength in the auction market, with more collectors beginning to concentrate their collections on the campaigns of the 20th century. 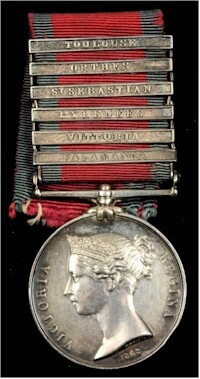 Medals awarded for the significant historical campaigns continue to be the prima force behind the market such as The Military General Service Medal 1793-1814 to Daniel Gardner, 95th Foot, shown here. However, more recently medals awarded to those from WWI and WWII have begun to compete in the market for dominance. The Military General Service Medal 1793-1814 awarded to Daniel Gardner, 95th Foot, which sold in the Militaria and Medals section of a Collectors' auction for £3,300. A family group awarded to Major General David Tennant "Punch" Cowan CB CBE DSO and Bar MC (1896-1983) for his action in both World wars and subsequent service in India and the Mediterranean were a fine example of a distinguished military career, fetching £18,000 at auction. Military equipment, dress and uniform are desirable for collectors who are interested in authenticity and period in their collections. To this end, they are willing to source original issue equipment for their collections and are prepared to bid strongly. A Royal Irish Constabulary paper clip, a helmet badge, and other related items demonstrated the commitment of collectors to sell above its pre sale estimate of £1,500-£2,000 for a hammer price of £5,400. 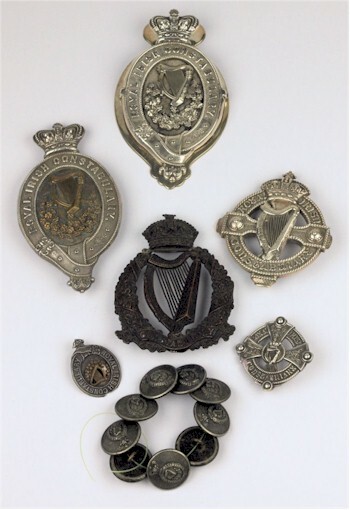 A Royal Irish Constabulary paper clip, a helmet badge, and other related items realied £5,400 in the Medals and Militaria section of a Collectors auction. In some cases, military issue equipment has become sought after as icons of design, as in the case of military watches. Simply and practically designed for their purpose, they were often made by the pre-eminent watch companies of the period and as in the case of the WWII Luftwaffe navigators' wristwatch by Laco shown here, well-engineered. Instantly recognisable in its design, the example seen below sold at auction for £1,400. 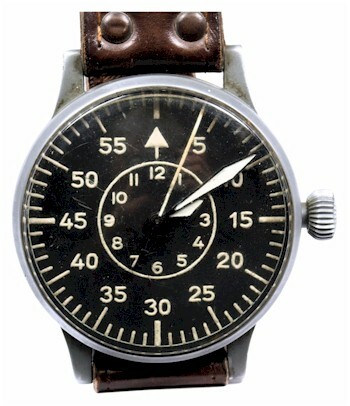 A World War II Lufftwaffe Navigator's Wristwatch sold at auction for £1,400 in a Collectors sale.